Due to circumstances beyond our control surgeries at Churchfield School, Latymer Road Edmonton N9 9PL have now been Cancelled until further notice. Temporary arrangements have been made to now hold surgeries every Friday morning from 11:30am till 1:00pm at Enfield Civic Centre. 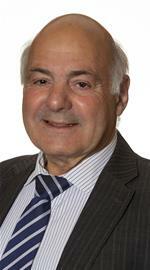 Residents can inform Ground Floor reception that they would like to see Councillor George Savva. A further advice Surgery is held at the Rota Sugery at Green Towers, Plevna Road, London N9 and after 27th September 2017, at Edmonton Green Library, South Mall, London N9.